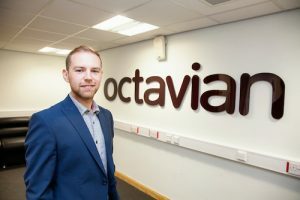 Nottingham IT solutions business Octavian IT has signed an exclusive agreement with print management specialist Accura. Octavian provide a fully-packaged Accura Print Management Information System (MIS) for print companies. Ben Solomon, managing director of Octavian IT, said: “Being able to offer Accura MIS on our optimised physical server or hosted cloud servers will add a new layer of security, resilience and performance to the software. “We have long-standing contacts and clients in the print industry plus many print clients currently so we understand how their businesses run, what their IT requirements for growth are and what is important to them. The Accura Management Information System (MIS) is a result of nearly 30 years’ experience writing and developing software for the print and graphics industries. The core module incorporates: Estimating; Order Processing and Confirmation; Proofing; Deliveries; and Sales Invoicing (with a link to many of the common accounts packages). Alan McKillop, Business Development Manager at Accura, said: “We’re delighted to be partnering with Octavian IT and look forward to a long and successful working relationship. Accura comprises of a comprehensive suite of fully integrated modules covering all aspects of print administration, as well as comprehensive reporting. Great emphasis has been placed on ease-of-use, flexibility and expandability. Additional modules include CRM, Stock Management, Purchase Ordering, Job Costing, Production Scheduling and Accura online Web2Print.